Winner of the 1953 Tony Award for Best Play. 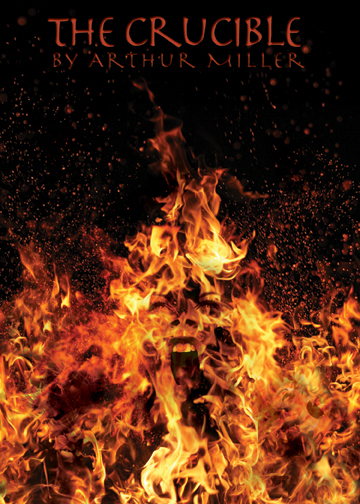 This drama about the Salem witch trials is both a gripping historical play and a timely parable of contemporary society: When a spurned servant-girl maliciously causes her lover’s wife to be arrested for witchcraft, the man goes to court to expose the lie. When he arrives, he also finds himself accused of witchcraft and put on trial. Directed by Jill Cary Martin. 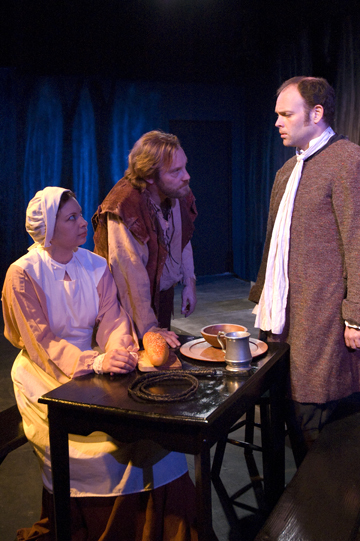 David Cramer (Parris), Madison Diskant (Betty), Sally Norton (Rebecca Nurse) and Paul Knox (Hale): Summoned to Salem to consult about witchcraft, the Rev. Hale consults his text, "Here is all the invisible world." 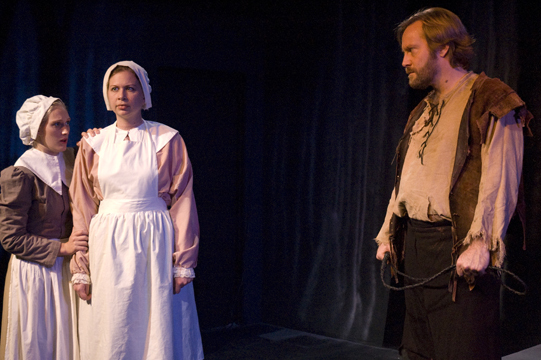 Karen Huckfeldt (Mary), Jessica Topliff (Elizabeth Proctor) and Mark Coyan (John Proctor): Servant Mary Warren reveals that Elizabeth is now among the suspected of witchcraft, "I saved her life today." 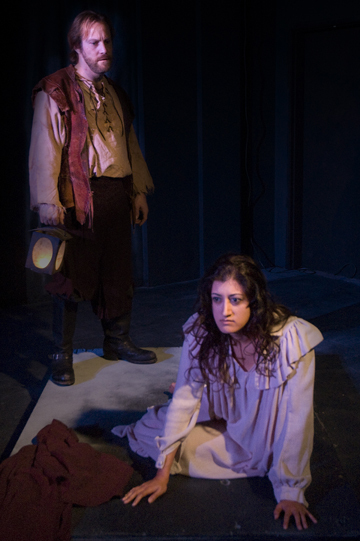 Mark Coyan (John Proctor) and Nakisa Aschtiani (Abigail): A vengeful Abigail strikes out at her former lover, "How hard it is when pretense falls; but it falls, it falls." Mark Coyan (John Proctor) and Jessica Topliff (Elizabeth Proctor): Both accused, the Proctor’s must search their hearts for redemption. "And yet you've not confessed til now, that speaks goodness in you." 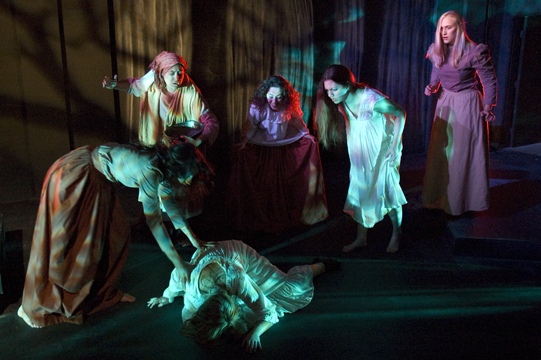 Sara Boros (Mercy), Karyn Morton (Susanna), Madison Diskant (Betty), Nakisa Aschtiani (Abigail):The girls cry out in the vestry. "Yellow Bird!" Eric Bower (Cheever), Karen Kahler (Ann Putnam) and J. Rikki Taylor (Tituba): Confessed witches Tituba and Sarah Good are ousted by the Marshall, "This place is wanted." 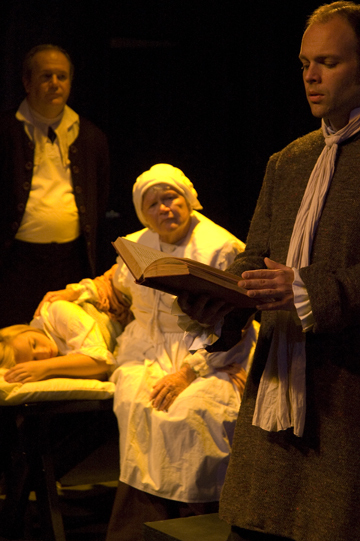 Mark Coyan (John Proctor), Jessica Topliff (Elizabeth Proctor) and Paul Knox (Hale): Proctor confronts the questions of Reverend Hale, "I like it not that man puts his hand on my baby."